Quite surprising news reached us from An Cafe today: Four of the five members will depart and the band will pause activities. Probably your first questions are "Who?" and "When", so here are the answers: guitarist takuya, keyboarder Yuuki, bassist Kanon and drummer Teruki will leave the band. This year An Cafe turns 15 years old. Its "LIVE CAFE 15th Anniversary Year Grand Finale" 2-days concert will be held on January 5th and 6th, 2019 at EX THEATER ROPPONGI in Tokyo - and these two concerts will also be the last ones of these four members. In the official announcement they state: "It&apos;s our 15th anniversary, so we talked about further activities and the members&apos; future over and over again. takuya and Yuuki said "We&apos;ve completed our life in the music industry." while Kanon and Teruki "want to go different ways". Miku said that he "wants to continue singing An Cafe&apos;s songs"". These opinions led to the result that they can&apos;t continue band activities with these five members anymore. After January 6th, 2019 An Cafe will still exist but it will go on hiatus with vocalist Miku being the only member left. Kanon says in his statement that he decided long ago that An Cafe will be his last band and that he will stop being that "Kanon" he has been for so many years and also that this Kanon has no intentions to form a new band. 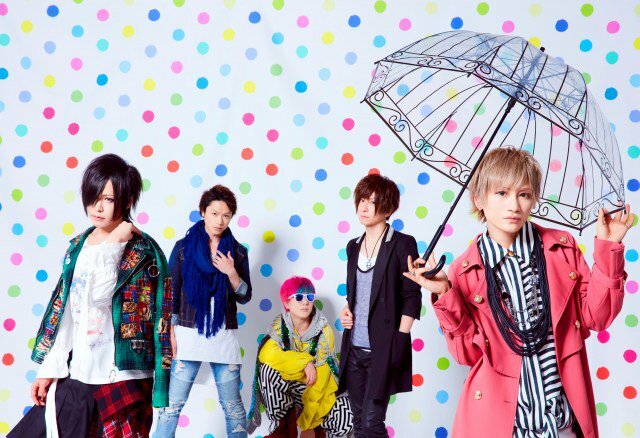 Also Miku states that An Cafe will be his last band but he wants to keep on going with this band. An Cafe formed in 2003 with Miku, Bou and Kanon as members. Takeru joined shortly after. In 2007 Bou left the band and one month later takuya and Yuuki joined. As of that time An Cafe went on tour abroad on a regular basis and gained lots of oversea fans. The band already went on hiatus in 2010 but came back in September 2012.
while I don&apos;t keep up with their current music, they were one of the first Japanese bands I started listening to back in 2005 so they have a special place in my small heart. I miss the days when bou was still a member. so I wonder if Miku will fly solo under the same name, like DOUBLE and Superfly did, or if he&apos;ll recruit new members.